Seen here in fresh 16.04 install using 01/07/16 image. A log out/in restores functionality. around 35% of the time the login has no menus in the unity panel for most apps. Thank you for your bug report. You are the first to report that issue. Do you get menus in e.g gedit? Is there any useful information/any appmenu warning in syslog? Hmm, maybe a intermittent local issue?? I'm starting to think there is some correlation between this bug & the number of populated dir. on the Desktop. Seems to not occur when # is 22 or less. Nothing to do with what's on the Desktop, just happens on occasion. Not sure if it is worth mentioning, in addition to the behaviour described in this bug opening calculator produces the Menus from KeepassX as per image. This seems to be continuing at 'random' with no particular rhyme or reason & no way to reproduce on demand. If that ends up being the case come release it should be noted in the Release notes with the advice to log out/in to fix. Started getting the bug after a SW update early today. Reboot did not work but logout and login worked ! Confirming in new install of 16.04 today. Doug McMahon is correct when he said... "This seems to be continuing at 'random' with no particular rhyme or reason & no way to reproduce on demand." After installing Pinta and The Gimp, I had no global menu for either app. Logged out and back in and all was fine. Rebooted and lost it again. Logged out and back in and the menus were fine. Very odd bug. ... and all will be ok until the next reboot. Mh, wnckprop --list only mentions few unity windows, but it seems there would be at least two with xid 18877440 and 18874547 which have menus and should be mapped, isn't it? All that Marco asked for, just after login, no menus working. But instead create a new one. Once the test is done, you can safely delete it, as it will override the system one. After adding a file as suggested in #27 menus in i.e gedit did not appear after reboot. menus, put it back & the restart had menus. Will try the 2nd variation in a few.. I made exactly these steps. 3. Tested the menus. They did not appear. 5. Made a log off. The system logged in without asking a password as usual. Still no menus. 7. Manus appeared and not the issue is fixed. The menus always appear after startup without needing to restart unity or a log off. Menus appeared and NOW the issue IS fixed. After installing the latest updates the bug is back again. > Seen here in fresh 16.04 install using 01/07/16 image. > A log out/in restores functionality. > around 35% of the time the login has no menus in the unity panel for most apps. A bit of a red herring I think (meaning the orig pastebin, which I gather is what was previously commented out in /usr/share/..
One of the workarounds over the winter for those where the menus didn't show most or all of the time was to delete some folders in either .local or .config. This would generally have the effect of returning menus & having that happen for a while or at least more often or not. So it may be that inserting that conf file was about the same. At some point the missing menus will return and that's just what is seen here. Over maybe 10 restarts or shutdown > restart the menus are again not showing most of the time. (this is a new install from Tues., my older install on a different laptop gets menus at least 95% of the time but I think only the behavior on new(er) installs is relevant here. So far the only 100% 'method' to get menus is to restart the service during the user login. > After installing the latest updates the bug is back again. > > Seen here in fresh 16.04 install using 01/07/16 image. > > A log out/in restores functionality. > duplicate bug report (1565522). point the missing menus will return and that's just what is seen here. showing most of the time. > point the missing menus will return and that's just what is seen here. > showing most of the time. As asked in #27, on my fully updated system, I've created ~/.config/upstart/unity-panel-service.conf, and then rebooted. However, with both options "started" and "starting", menus still doesn't works on a fresh boot. I've rebooted several times with both options, and there's no menu present in Nautilus or Gedit. However, menus always works in Chromium. Also, as #39 says, if I logout/login back, the menus always works ok.
Balaji G: That's another issue, and it's related to bug #1433013. Now when I reboot, I have all my window menus. It's either the Startup Application or run terminal every time I reboot to restart unity. On my other machine, the one that I upgraded 14.04 to 16.04, it happens so rarely I just added a custom launcher to Cairo-Dock that would reload unity. "Same problem in Ubuntu 16.04, the weird thing is than in my Workstation this bug is present but not in my laptop." I fully confirm this, only in my workstation, not in any of my 2 ultrabooks or my laptop. It happened after upgrading from 15.10 to 16.04. 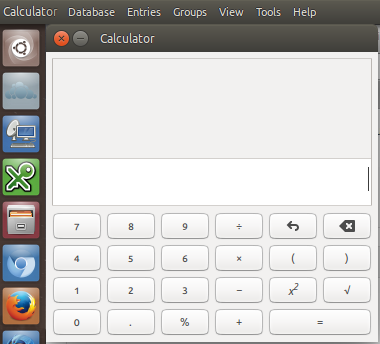 The applications I notice without menus either on the window or the toolbar are nautilus and gedid. Its a pain in the neck! On my notebook (16.04, daily updates) the problem appeared with an update on 2016-05-06. Now it happens regularly. A single call of "restart unity-panel-service" so far always fixed it. Yes, it looks like some race condition. For what it's worth, installing the packages in Marco's PPA fixes this issue for me. Removing Marco's PPA packages results in missing menus, same as before. > Removing Marco's PPA packages results in missing menus, same as before. in all cases I've known (25+ users). longer get the bug in fresh release installs either. Accepted bamf into xenial-proposed. The package will build now and be available at https://launchpad.net/ubuntu/+source/bamf/0.5.3~bzr0+16.04.20160523-0ubuntu1 in a few hours, and then in the -proposed repository. I tested bamfdaemon and libbamf3-2, both version 0.5.3~bzr0+16.04.20160523-0ubuntu1, from xenial-proposed. It works for me. Menus appear to work correctly with this version. 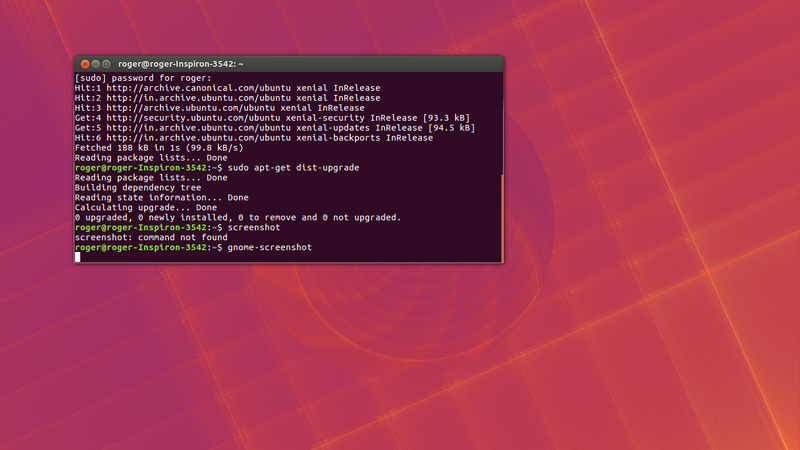 Downloaded Xenial cdimage and updated and upgraded yesterday (bamf package was updated from proposed). Menus are working. Five or six reboots, all with menus. I am affected by this bug but have discovered that if at the login screen, I delay a minute or so before logging in, the menus appear normally. However if I do not delay logging in; the menus never appear. I don't have specific timing details, but delaying long enough to pour a mug of tea always results in working menus. This would support the race condition suggested above. The test case then: is so login as quickly as possible after the login screen appears using perhaps a NULL password or enabling the "login automatically" feature. Would enabling auto-login work in for this test? My machine never has the issues, so I can't test. If someone who is affected by this and hasn't enabled the fix yet could try enabling auto-login and see if they get breakage before downloading the fixed version, that would be a good test indeed. Thanks Nigel. I only had problem with gedit (3.18.3-0ubuntu4) run as administrator. Installed bamfdaemon and libbamf3-2:amd64 both version 0.5.3~bzr0+16.04.20160523-0ubuntu1. Still no menus when gedit is run as root. Having suggested enabling the "login automatically" feature I went back to actually try it. A-Ha it never failed; and then again; now; logging in ASAP after boot never failed either. Obviously I'd made a change along the line that had "fixed" my system. After digging around the logs and finding nothing; it turned out to be AUDIO. I had plugged in my speakers. Now 16.04 looks for ACTIVE audio sinks and has no default audio output if none can be found. I think it may be the "Ubuntu Drums" playing at the login screen that cause a problem if no audio sink is available. With speakers attached, my system always presents menus; however I login. When "login automatically" is enabled, no "Drums" are played and my system always works with or without speakers attached. trivia21, when you run apps using sudo, the menus shouldn't be exported at all, but shown inside the app in that case. I only had the problem with gedit as root too. As normal user the menus are showed in any case from the first installation, in gedit and nautilus. Nautilus as root shows menus inside and only in gedit as root has no menu with any appearance configuration I choose. Perhaps is not de same bug. Is someone who has solved his issue installing the new packages experiencing problems with gedit as root? I endorse @grosso report. Gedit as root has no menus avaiable. When you run gedit as root it uses CSD (Client Side Decorations) something that is patched out in Ubuntu but apparently the patch doesn't work for root. That's a different bug, please open one in gedit. It is still in proposed, not main. Should it be marked as released ? The verification of the Stable Release Update for bamf has completed successfully and the package has now been released to -updates. Subsequently, the Ubuntu Stable Release Updates Team is being unsubscribed and will not receive messages about this bug report. In the event that you encounter a regression using the package from -updates please report a new bug using ubuntu-bug and tag the bug report regression-update so we can easily find any regressions. Althougth the new version of bamf has fixed most of the problems, I still don't have menus in for some application (terminal and libreoffice). Running 'unity' fixed this issue. Delaying the login for 5 minutes has not fix the problem. Should I open another bug? Quando Reseto esses dois processos volta o normal, mas depois quando eu reiniciou menus desaparecem novamente. When Reseto these two processes back normal, but then when I restarted menus disappear again. I installed fresh yakkety mate 16.10 in my lap toshiba a305 and the menu bar in libreoffice is missing. What I have to do?? Help in spanish will be apreciated. It's still affecting me on 16.04 Ubuntu. Can we change status to smth else as it's definitely not fix yet and it's critical issue. Something else I noticed when doing a 14.04->16.04 upgrade: the damn indicator-appmenu package was missing! Installing that brought in the unity-gtk module, which solved the issue for me. Ubuntu 16.04 - fully upto date with all updates. definitely restores the missing menus. I rarely use many other application - but I can confirm that Firefox doesn't seem ever to loose it's menus. If you need debug information please let me know. the menu bar vanishes, never to return. twice was needed to lose the menu bar. 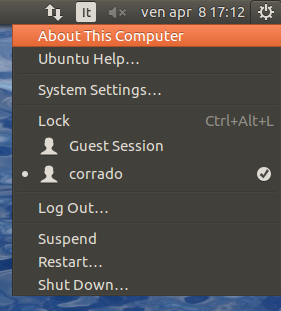 Never had this problem on my fully patched Ubuntu 16.04 until just recently, when I noticed that the Firefox menus do not display after restoring from a suspend. gnome-terminal and gedit are OK. Iconizing Firefox, then restoring, restores the menus to working condition. Same sorts of errors in ~/.cache/upstart/unity-panel-service.log as seen earlier. The window 3E00010 is the Firefox window. No unity process has died or been restarted. The bamfdaemon has been running since boot. What recently changed was adding a script to kill compiz returning from a suspend, so the Nvidia driver 375.39 screen artifacts get removed. I've attached a copy of the syslog file. Please let me know if you need anything else. There is no unity panel log in the cache folder. In addition to what was mentioned above with the menus being gone, windows aren't painted and Ctrl+Alt+F# doesn't change to a TTY. 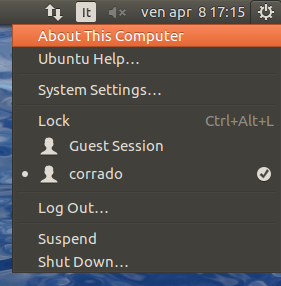 Ctrl+Alt+T opens a terminal, and the active application icon on the unity bar is painted, but window and output are not painted. Logging in and out multiple times seems to fix some of it with exception to the terminal launched from the shortcut, and switching TTYs. In my case this started following a Fresh default Install (with LVM). The only action taken on the fresh system were updates and resizing the root LVM filesystem to a lower size. At first there was only a mouse cursor issue where the mouse would jump a distance over a vertical invisible line. The main issue did not present until testing the snapshot merge following several reboots. This bug is still happening! 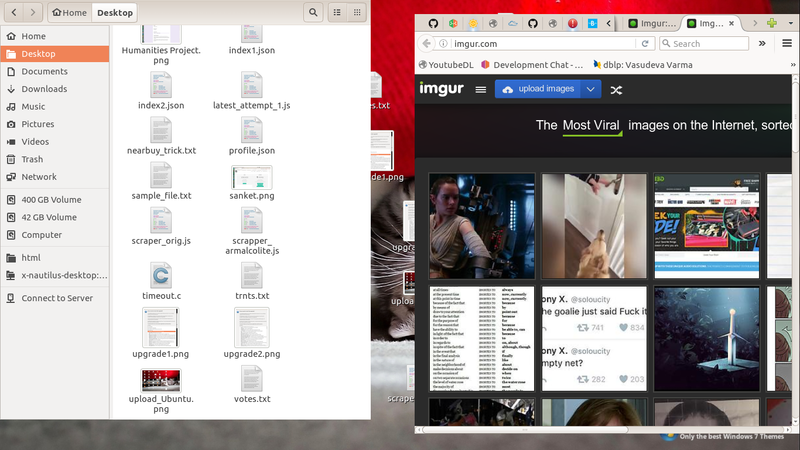 I have qbittorent installed today and the menu (file, edit, help, etc) that should be there on the top toolbar has completely disappeared (and in qbitttorent there is no alternative (like the menu doesn't appear in a right click or something) which means I am totally UNABLE to access the menu functions. Displaying first 40 and last 40 comments. View all 173 comments or add a comment.